Road Stars 2 has ended. Congratulations to all our winners! Check the results of the jackpot and of the last week’s games below. Click on the image to download the list of the 500 lucky draw winners. 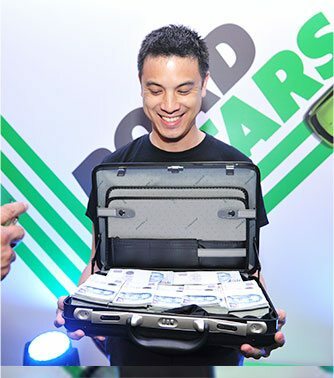 Each winner will receive S$500 in their cash wallet! Not in the list? 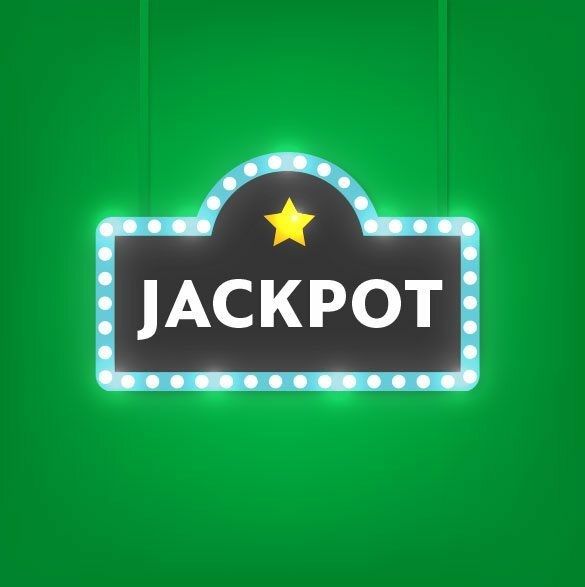 If you are eligible for the jackpot, you are also a winner! 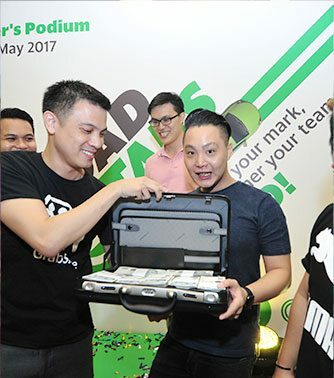 You will get your share of the remaining S$250,000 – that’s S$179.73 in your cash wallet! Score points as a team to win these prizes for each member. 2. Are not suspended or banned at the end of the week. Sundays will not count towards your Road Stars score. One challenge per week. 100 winners per week. It’s as simple as that! incentives eligibility criteria (for all service types). the first edition of Road Stars! See our reigning Road Stars 1 Champion List here ! 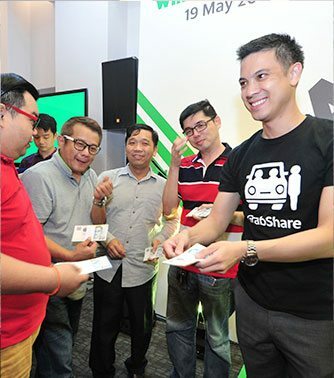 All GrabCar (GCE and GCP) and GT drivers are eligible to participate. All you have to do is form a team of 3 and register from 5th June onwards . 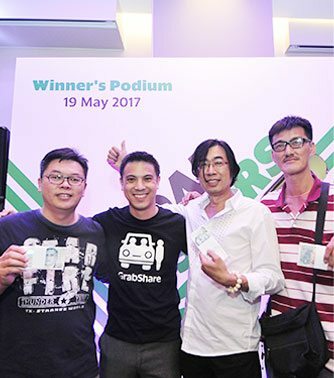 Specifically : GCE-4, GCE-6, GCP-4, GCP-6, GrabFamily, GrabShare, GrabTaxi. 5 June – 2 July : Primary Registration. 3 July – 29 July: Games. Note: Registrations will remain open until Thursday 20 July, 12pm. You need to sign up by Thursday 12pm in order to qualify for the following week’s game. Will I still be eligible for the regular incentives if I participate in Road Stars? Yes, Road Stars comes on top of all other incentives! Can I win both the team prizes and the individual prizes in a week? How do I sign up for the games? Click on the button at the top of this page or follow this link. How will know that my team was approved? We will process sign-ups every week and will reach out to every member of the approved teams. If you haven’t received a confirmation SMS on Friday EOD, chances are one or more of your team members wasn’t approved yet. We are past Friday, but I have not received a notification that my team is approved. How can I check on the status? approved yet, so please be patient. My team was not approved. What should I do? 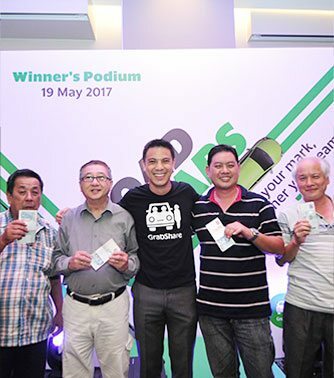 Please verify that your team meets the minimum qualification (3 GrabCar/GrabTaxi drivers, all legally eligible to drive from 1 July onwards). 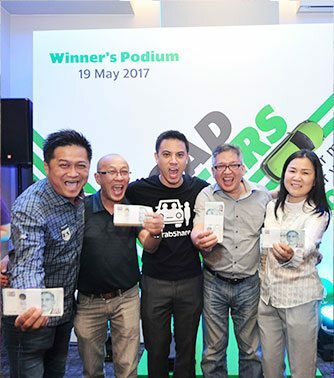 If you still feel that your team should have been approved, please email us at roadstars.enquiries@grab.com. I was not able to form a team. Can I still play? No, you need to form a team of 3 drivers. If you do not know other drivers who want to participate, we advise you to attend one of the fortnightly Grab a Drink sessions to meet other drivers. Will Grab help me form a group? We encourage drivers to reach out to other drivers and refer friends and family to participate. There will be no matchmaking. What is the minimum/ maximum size of team? Each team must have 3 people. Who is considered a new driver? A driver activated with Grab after 19 May 2017. No, all teams are considered final once approved. However, if one of your team members is not approved, you may resubmit your application with different team members. Do I need to complete my PDVL before signing up? o Yes. 12. Why do I need to come up with a Team Name? We will be posting the scores on our website and need a way to identify your team. Meet their vertical’s (i.e. GC or GT) incentives eligibility criteria every week. Refer to the Scoring section of the FAQ below for more details on your vertical’s incentives eligibility criteria. Is the jackpot a team or an individual prize? The jackpot is an individual prize. The jackpot is a lucky draw. All participants are eligible. The chance will be weighted by the average number of weekly rides completed during Road Stars 2. The more rides you take during Road Stars 2, the higher your chances of winning! 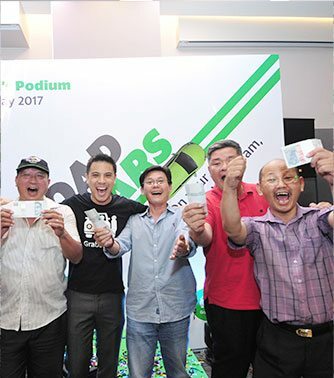 500 winners will win S$500 each. 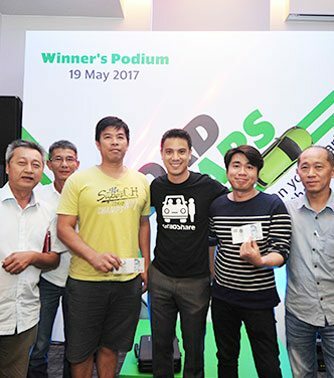 All other eligible participants will win up to S$250 – the actual amount will depend on how many Driver Partners participate in Road Stars. Refer to the Scoring section of the FAQ below for more details on your vertical’s incentives eligibility criteria. What are the eligibility criteria for scoring points? You should not be suspended or banned at the end of the week. If you are suspended for fraud at any point in time, the entire team will be disqualified from Road Stars. Grab will only notify the specific driver if he/she was suspended or banned. He/she will be responsible for updating other team members. Will I get extra bonus points for signing up early? No, there will be no early sign-up bonus. What if two teams end the week with the same number of points? Total number of rides completed during the week (JustGrab and GrabShare only – as per the main game). Highest average acceptance rate (all service types, Mon-Sun). Lowest average cancellation rate (all service types, Mon-Sun). What if two drivers are tied in an individual challenge? Why do you not notify me when one of my team members is banned/ suspended? We are unable to share other driver’s personal information. Please reach out to your team directly for information about their status. One (or more) of the drivers in my team is suspended/ banned, can I reform a group / add a member to our team? No, all teams and team members are considered final once approved. Your team is still eligible to play though (provided the driver was not banned for non – fraudulent reasons). One (or more) of the drivers in my team is suspended/ banned, is my team still eligible to play? If the driver(s) was suspended/banned for non-fraudulent reasons, the remaining drivers can continue to score points. One (or more) of the drivers in my team is suspended/ banned, what happens to his points? All points earned to date will remain active unless the driver was banned for fraudulent reasons. I was banned/ suspended. Am I still eligible for the prize? Drivers must be active at the end of each race/ game to be eligible for the prize. Why did my entire team get disqualified when only one of the team members cheated? Road Stars is a team competition and requires team participation and adherence to the code of conduct. It is important team members learn from one another.